The 27th Annual Distance Learning and Teaching Conference at Madison-Wisconsin this August was a diverse and varied programme attended by some 900 distance educators from all sectors, from K-12 to professional education. 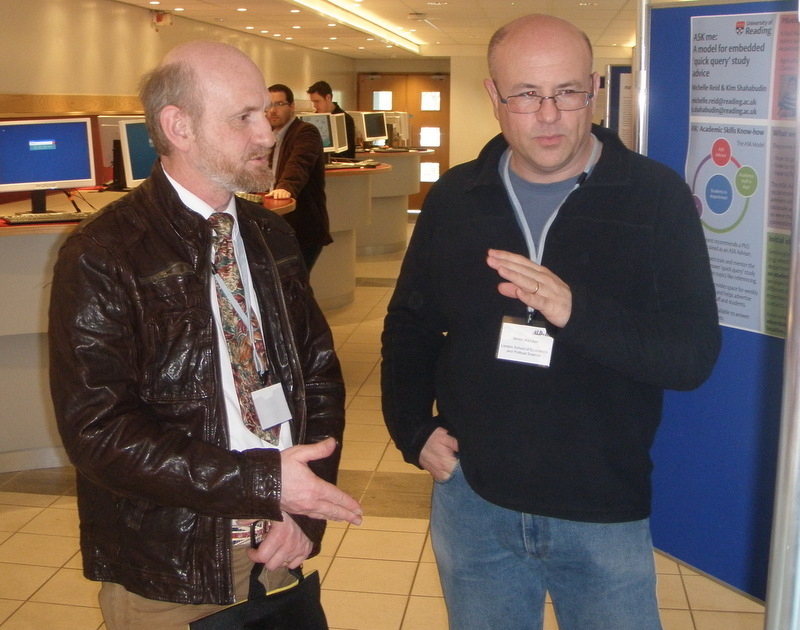 My contribution was a half-day DiAL-e Workshop with Kevin Burden (University of Hull) attended by some 24 people. The workshop went relatively well but also gave us an insight into a variety of cultural differences in such settings. I was able to learn from this and the 45 Minute Information Session on the SOLE model the following day definitely had a better 'buzz'. In addition I contributed to a new format this year, a 5+10 Videoshare session where participants had (supposedly!) produced a 5 minute video and then made themselves available to discuss it for 10 minutes. All the sessions went well but the SOLE model and toolkit seemed to grab some serious interest and I will hope to have the opportunity to go back to the States and work with colleagues on learning design projects in the future. ALDinHE 2011 was a relatively small professional conference with some 120 colleagues from across a diverse range of UK Higher Education institutions. The theme was "Engaging Students - Engaging Learning" although, with some noticeable exceptions, much of the conference was concerned primarily with the challenges we face as educational (or academic) developers. There was a lot of discussion about 'teaching' to engage students but too little emphasis for me on the designing in to the learning the engagement we say we expect. Still it was a useful and interesting opportunity to get reacquainted with some former colleagues form the Open University and for the University of Hull. 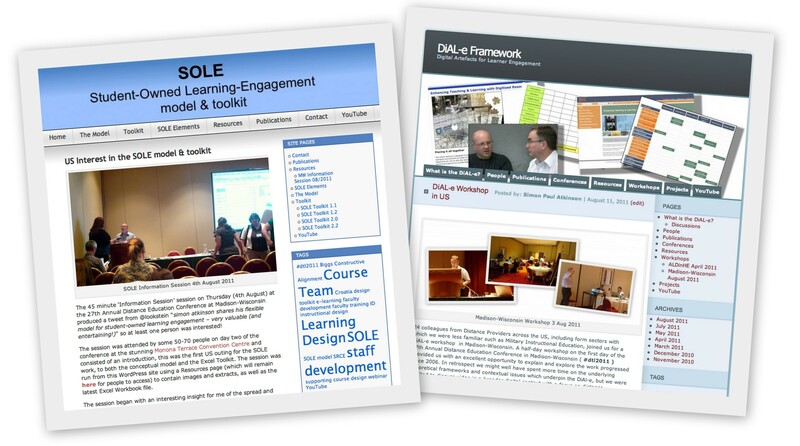 I had two posters at the conference, a solo effort with the SOLE model (see and download the poster from http://www.solemodel.org) and a joint effort with Kevin Burden from the University of Hull featuring the DiAL-e framework work we have been doing since 2006. Details of the that poster and the workshop that I ran on Wednesday 20th April are available at the www.dial-e.net website. The workshop ran using a single webpage on the wordpress site so you are welcome to access the workshop resources. The post conference requests for "your PowerPoint" leave me frustrated!